When it comes to wall taps, few beat the versatility and reliability of the Square Wall Top Assembly set. 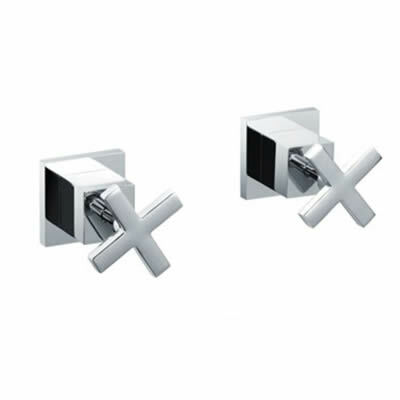 This popular set consists of two modern handles that are sure to complement a contemporary bathroom Design. The Square Wall Top Assembly is designed for easy installation in any bathroom. It is also very easy to use, thanks to a practical and ergonomic design. It is manufactures with quality materials and excellent workmanship. 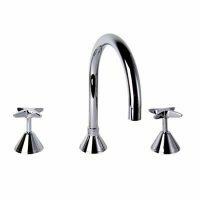 It features a sturdy solid brass construction, which allows it to withstand the rigors of daily bathroom usage and tap body, finish and internals are all backed by solid manufacturer’s guarantees. 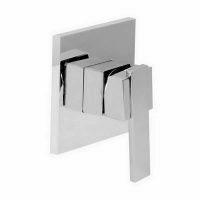 With an elegant and long lasting chrome finish, the Square Wall Top Assembly is built to last. The superb value for money is just a bonus! So go ahead, complete your bathroom by installing the elegant Square Wall Top Assembly. Buy this product at a great price at Ross’s Discount Home Centre. And, you can also take advantage of our free delivery across Perth Metro areas if you buy online.